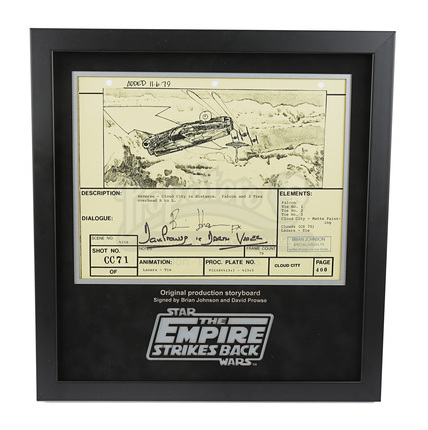 A signed, framed, storyboard copy used in the production of Star Wars Episode V: The Empire Strikes Back. 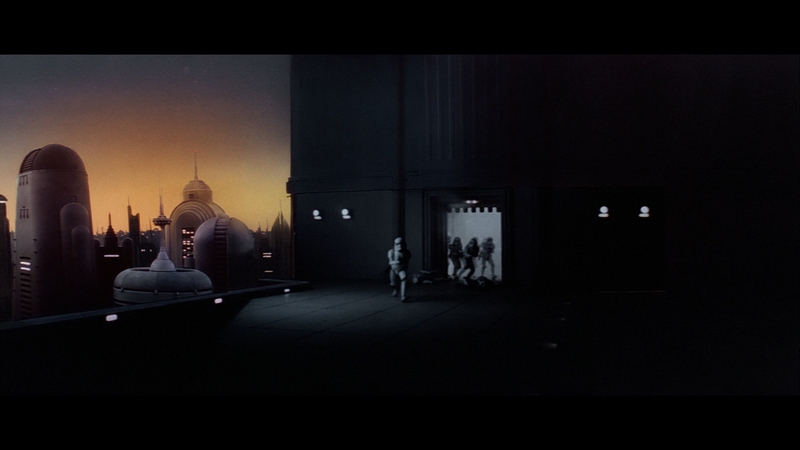 This page features an illustration of Imperial Stormtroopers rushing onto the landing platform in Cloud City during the scene where Lando, Leia, Chewie, C3PO and R2D2 make their escape. 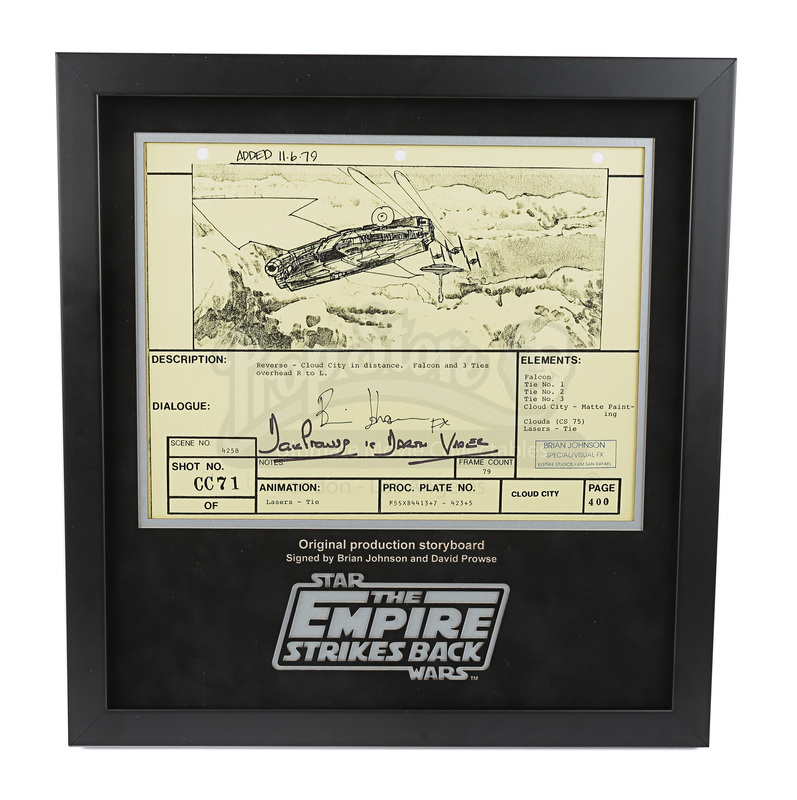 The storyboard is signed by visual effects supervisor Brian Johnson, who would go on to win an Oscar for his contribution to the film, and Dave Prowse who played Darth Vader in the original Star Wars trilogy. An official stamp from Brian Johnson features on the right-hand side, reading “BRIAN JOHNSON - SPECIAL/VISUAL FX – ELSTREE STUDIOS/ILM SAN FRANSISCO”. 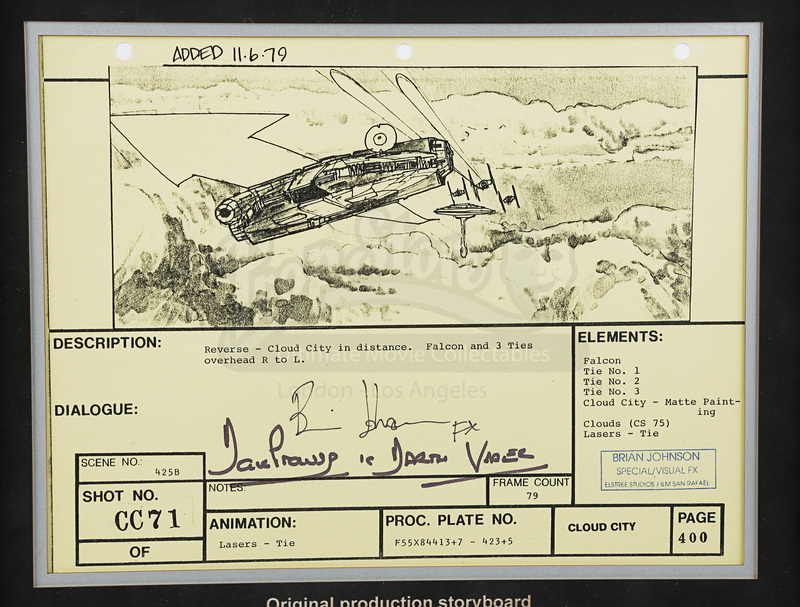 The production used copy has a printed description beneath the illustration reading, “CLOUD CITY – EXIT TO THE LANDING PLATFORM – DUSK / Troops advance.” It is scene numbered ‘406A’, shot numbered ‘CC 35’ and is page number ‘361’. Printed on light yellow US Legal-sized paper, the page is hole-punched at the top, indicating that it would have been held together in sequence with the rest of the storyboard pages. It comes framed in a custom built display with laser-cut mount board etched with the iconic movie title.